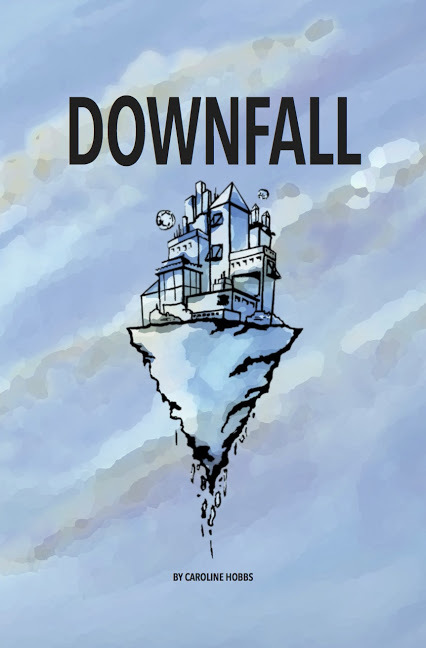 Downfall is an evocative, expansive, intense RPG for three people. Winner of the IGDN Groundbreaker awards for best setting, and written by the amazing Caroline Hobbs, Downfall excites my imagination. For the last three or four years, mostly what I've been playing is PbtA games of varying flavours with variations. Once in awhile I'd take a break from them to play Golden Sky Stories or Ten Candles, but never anything for long. Downfall is a game I want to keep playing, again and again. The game itself is designed for one-shot play. The three of you choose evocative and fascinating words to help come up with your society. The example they give in the book is a cyberpunk society. The words we chose for our society were: void, ink, dream. This resulted in a society who lived on a giant tree, whose roots came from the void, and the habitants were the consciousness of dreamers. Some people, rarely, were born in the dreamworld itself. These people were inked, they had marbled skin with cyan ink laced like marble. These people drank refined tree sap, which was ink, refined into tea to enter the dream world and share a connected consciousness. We also had to choose a tragic flaw, something that was a normal part of our society that would eventually be its downfall. The options were things like conformity, racism, sexism, classism... we choose Loyalty. Loyalty was a harder one to imagine, but it was definitely one we wanted to try because we deal with the obvious flaws every day in our gaming culture. We wanted to do something that seemed positive on the surface to most people. And we wanted a challenge. Loyalty was woven into the fabric of our world as we made traditions. These traditions must be based upon the tragic flaw your society has, but show it in a way that it can be inverted later to cause the downfall, or at least lead into it. Loyalty was seen in the way we honour the day, the way we honoured each other, and the way we kept art and culture alive within our community. It was an interesting flaw to negotiate and pull through into everything we did. After we made these bizarre and fascinating traditions, we made our characters. There are three characters, they are the Hero, the Pillar, and the Fallen. Our hero was Swift, a tailor who made the scarves of memory. Our Pillar was the curator of the art museum. And our Fallen was Swift's boyfriend. These characters are swapped after each round so everyone plays all three on separate occasions. This was fascinating to experience, as it required a loyalty to the story and the characters without worry about them being your characters. It eliminated the possibility of saying "My character wouldn't do that" because they were our characters. The play through of the game was slow to start as we found our feet in what our community looked like and felt like. As we began to twist the traditions, things got darker. One thing I did notice was the tendency of the hero to be the driving force behind the changes. For everything Swift did, there was a reaction in the next scene outside of the consequences you could force upon a scene as the Fallen that often lead to the next twist in Traditions. It made me feel pretty awful for the hero, who was just trying to save everyone. Downfall tugged at my heart strings in a way that only sad games can. It made me pause and think about what the fall of a society would look like. It's immersive and it gives you a slow heart ache. You're watching something beautiful and awful slowly fall apart as each scene progresses and happens. I found myself reticent to twist the traditions further and to make each scene more difficult for the hero. Interestingly enough, I found playing the Pillar the most difficult. 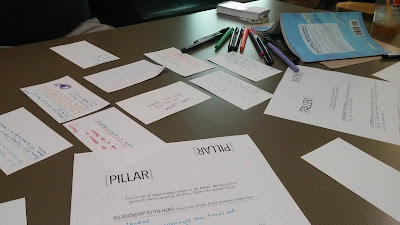 The Pillar is someone who sees the flaw but often excuses it or doesn't see it as a big deal. This resonated with me as the "what can I do?" people I deal with daily, or people who say "well, that's just how it is." It was heart breaking to play the person unwilling to help or unwilling to do much more than excuse the way society functioned. The Fallen was the easiest to play. They were loyal to the flaw to the point of self destruction but it was played as a toxic relationship to the hero. Toxic and loyal. The mechanics are seamless and easy to grasp. They flow perfectly with the structure of the game. Because the setting is whatever you want it to be, it's easy to customize to tell exactly the kind of story you want. The game itself doesn't shy away from heavy topics, either, and includes flaws like racism and sexism in the list of options. 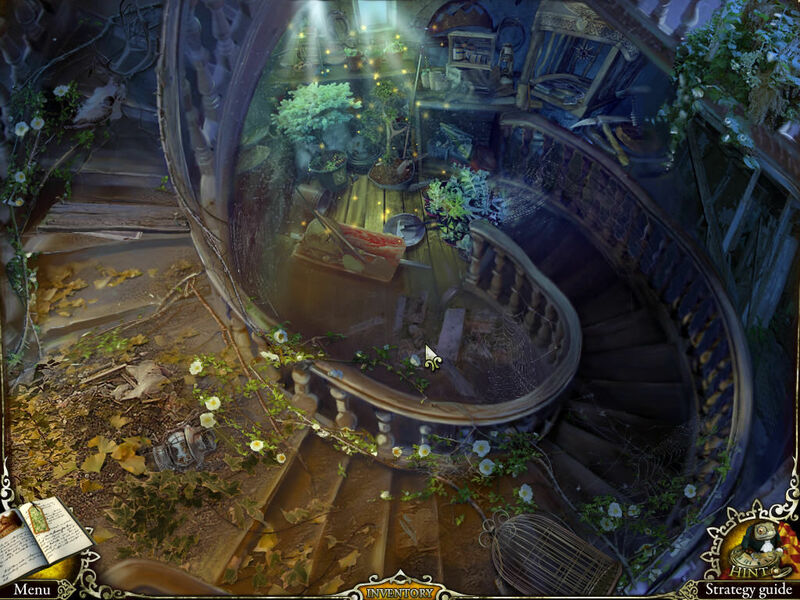 The art is stunning and fits the ephemeral and amorphous feel of the game's setting mechanics. The book itself is well worth it, and the game is playable time and again, as each time you play it, a different story will emerge. Playtime was about 2 - 3 hours, with 30 minutes of set up or so, depending on how detailed you made your world. We left a lot of blanks and filled them in with questions as we played through scenes. It was a game that left me wanting to play more, but left me not wanting to play more in the world we had made. That world was an awful place. Why would I want to return there? This game also provides an excellent tool for discussion problematic content at the table and gives you the mechanics to demonstrate what that problematic content feels like. I can see running this game for some guy friends who don't get sexism and using sexism as the flaw. It would let them feel the impact of that toxicity as the hero and see subtle ways it influences society via making the traditions. I'm excited for this, if exhausted by the thought. Overall, I'm thrilled I bought the game and I can't wait to play more. It's got an easy access point, fluid mechanics, and some great optional settings in the back of the book if you don't want to make your own. I think it would make a great convention game, overall, and make people feel the quiet mourning of a civilization destroyed by itself. GM Work: None. Print the sheets and go. Materials: Book, index cards, pens, character sheets. Rating: 5 out of 5 Stars. It does everything it promises it will do and more. Replayability is high.